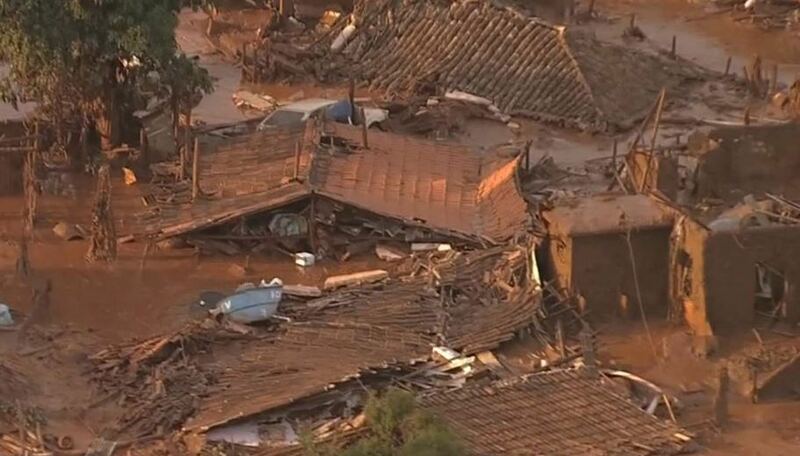 At least 15 people have died from the rupture of a dam of toxic waste in the State of Minas Gerais Brazil. 45 people are missing. 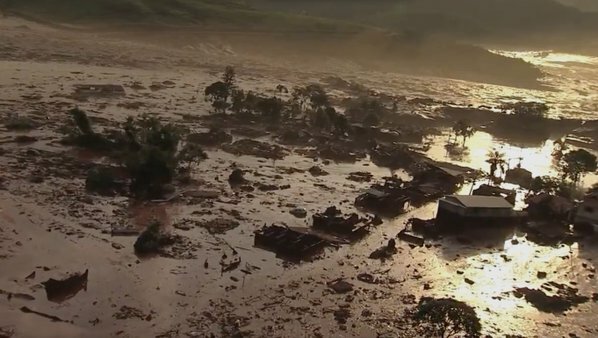 The dam holding residue from an iron ore mine has burst in Brazil, flooding the city of Bento Rodrigues in toxic mud on November 5, 2015. 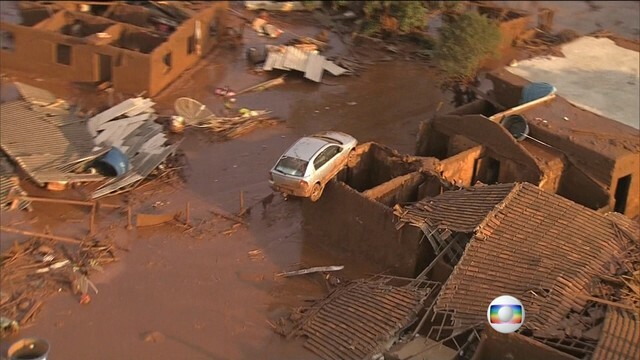 According to witnesses, the town of Bento Rodrigues, where about 620 people live, has been completely flooded by the toxic mud. 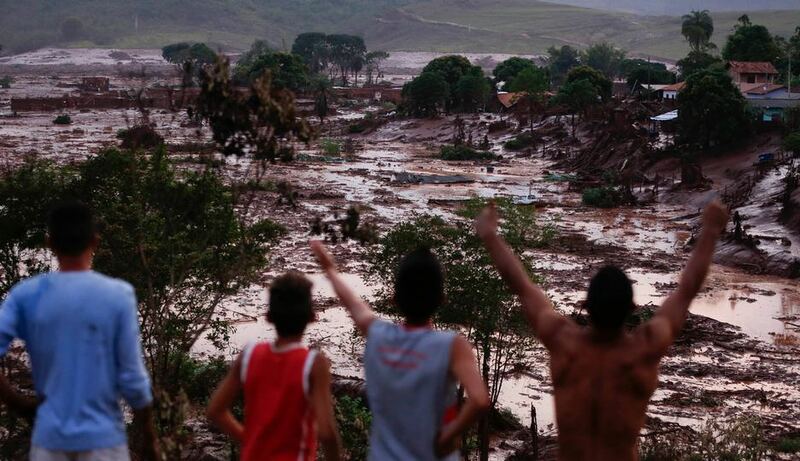 The director of the Union of Workers in the Iron and Metals Extraction Industry Basic Mariana (Metabase) says that between 15 and 16 people have died and 45 are missing, but there are still no official numbers. 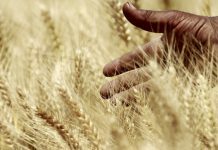 Workers first believed there had been an earthquake. Rescuers are now attempting to find possible survivors of the accident. 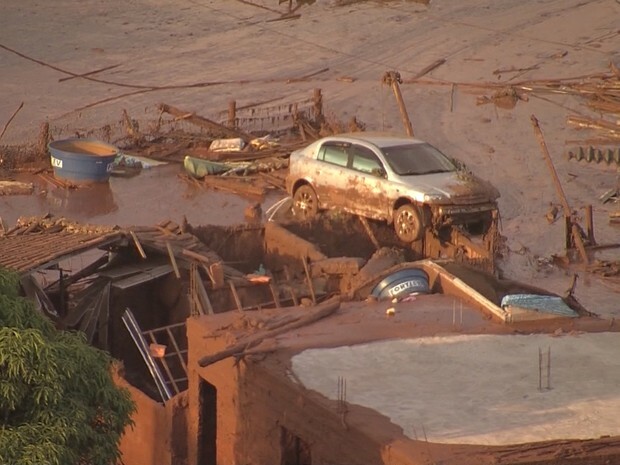 Photographs shows mud surrounding homes and cars in destroyed neighborhoods. 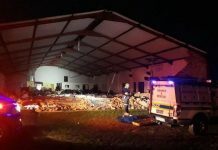 It is unclear what caused the dam to burst. 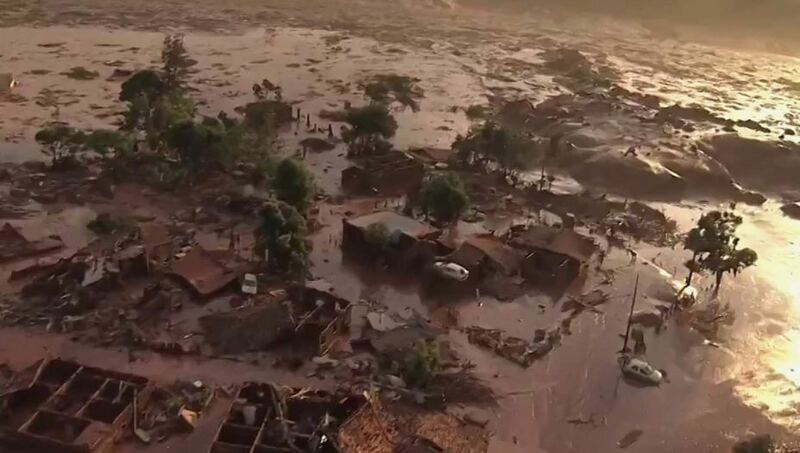 Samarco, the mining company that manages the dam, said it would work to help victims and try to protect the environmental. 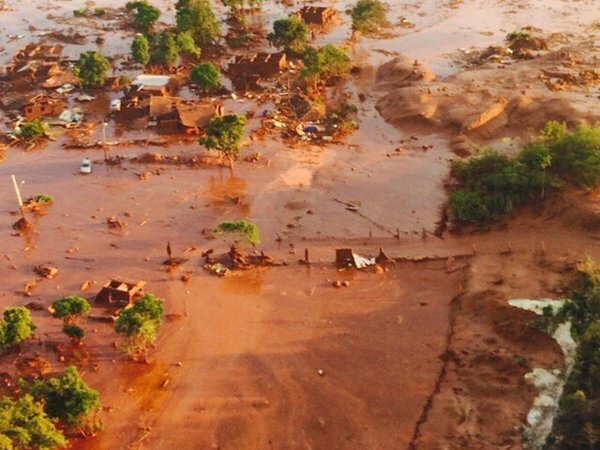 Bento Rodrigues has been completely destroyed by the toxic sludge. 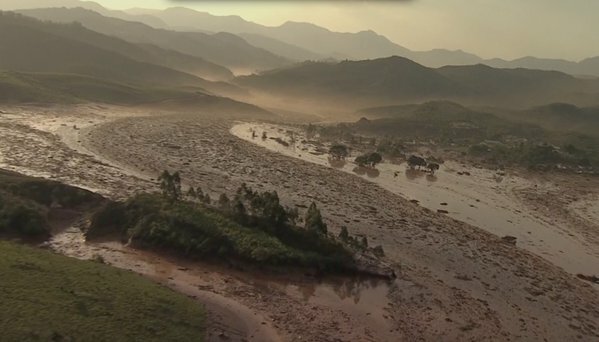 According to a company speaker, the flooding was not made up of chemical waste, but of rocks and iron ore.
As if a river had overflowed its banks. 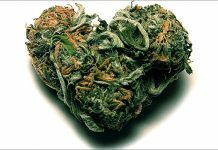 Let’s wait for the chemical tests. 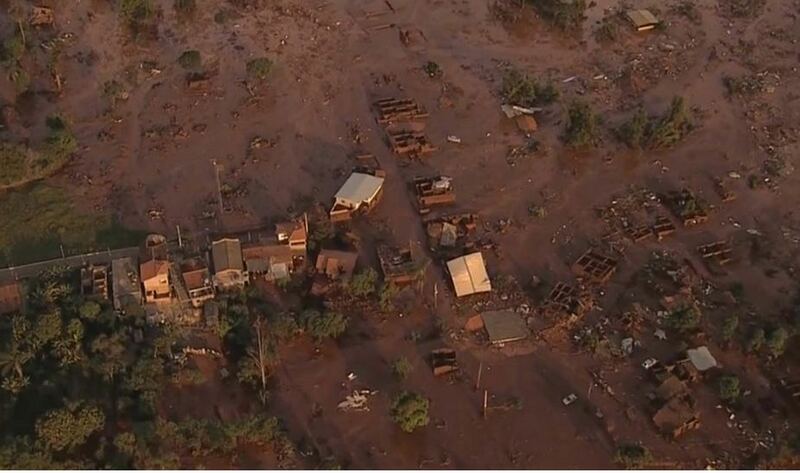 This catastrophic dam collapse is described as unprecedent by the government of Minas Gerais and could become the most serious dam rupture ever recorded in the country.